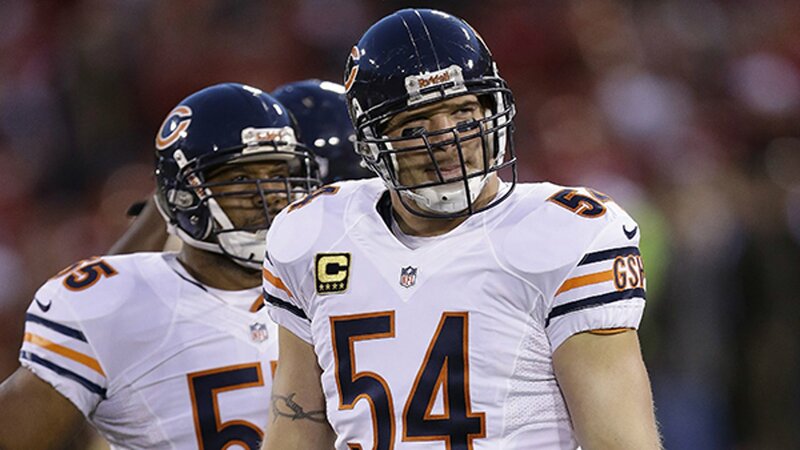 CANTON, Ohio -- Brian Urlacher has become a record-28th Chicago Bear inducted into the Pro Football Hall of Fame. A first-year nominee who filled the tradition of great middle linebackers in the Windy City so brilliantly, Urlacher actually was a safety at New Mexico. Chicago selected him ninth overall in the 2000 draft and immediately converted him to linebacker. He spent two weeks in training camp on the outside, then was moved inside - for 13 spectacular seasons. The Bears won four division titles and one conference championship with Urlacher, their career tackles leader who also had 41 1/2 sacks and 22 interceptions. The five-time All-Pro and member of the 2000s NFL All-Decade Team even did some work on special teams.